Franklin Delano Roosevelt, the president of the United States who was famous for his reassuring “Fireside Chat” radio addresses, was afraid of fire. He refused to lock his bedroom door at the White House, as previous presidents did, in case he needed to make an escape at night. In fact, FDR was so afraid of fire that he would often practice how he could get out of his burning room, dropping quickly from his bed or chair and crawling to the unlocked doors. 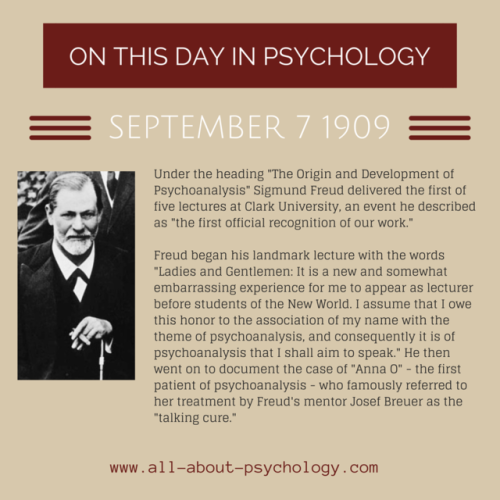 VISIT –> www.all-about-psychology.com/sigmund-freud.html for Sigmund Freud information and resources.